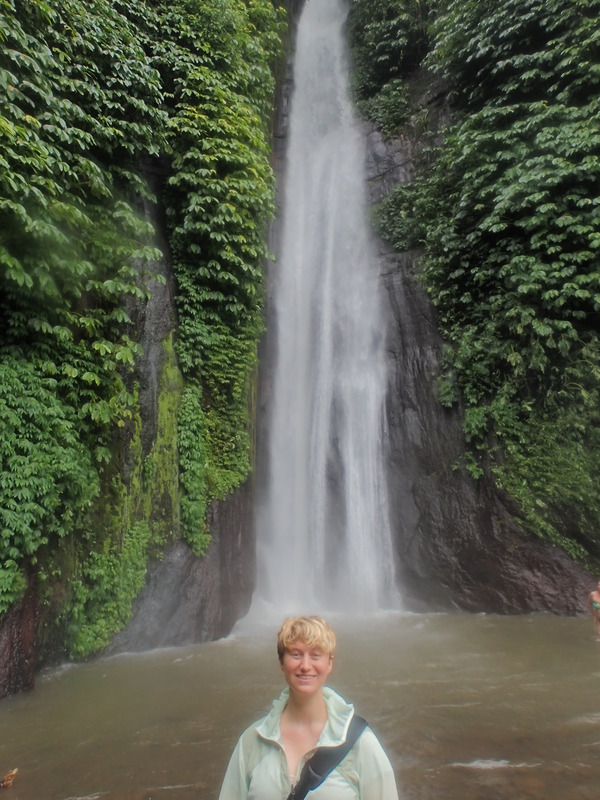 Tanah Barak in Munduk: a tall and skinny waterfall pouring down a rocky cliff into a pool with significant force, tucked into the jungles of Bali. On either side of the waterfall, the cliffs are covered in leafy green vines, watered by the breeze of the fall. In front, a woman with short blond hair and a light green jacket stands by the pool, dwarfed by the size of the waterfall.